Today I'm changing it up a bit. 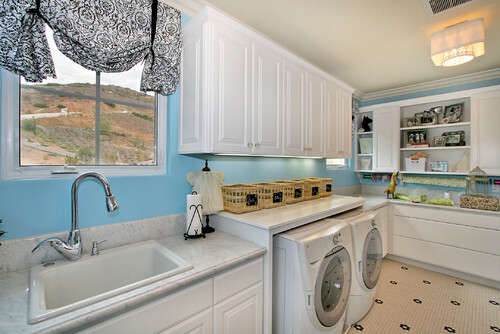 I have five beautiful white Laundry Rooms. 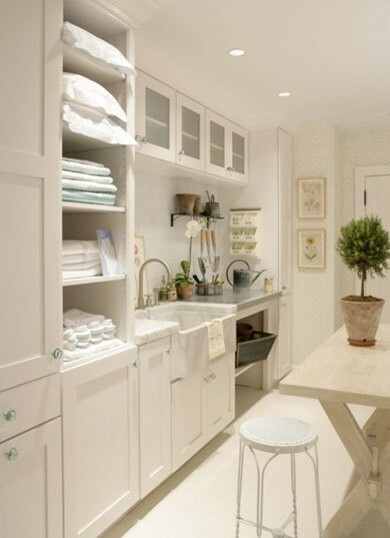 White in the Laundry Room is a great choice. It's a bright, clean and fresh look.....and isn't that exactly what you should think of in a Laundry Room? 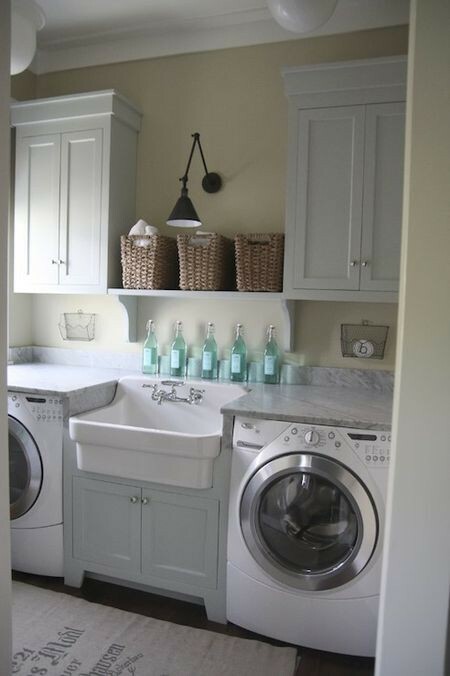 The heavier gauge supplies are applied to cater for the tougher work necessary of these sinks. 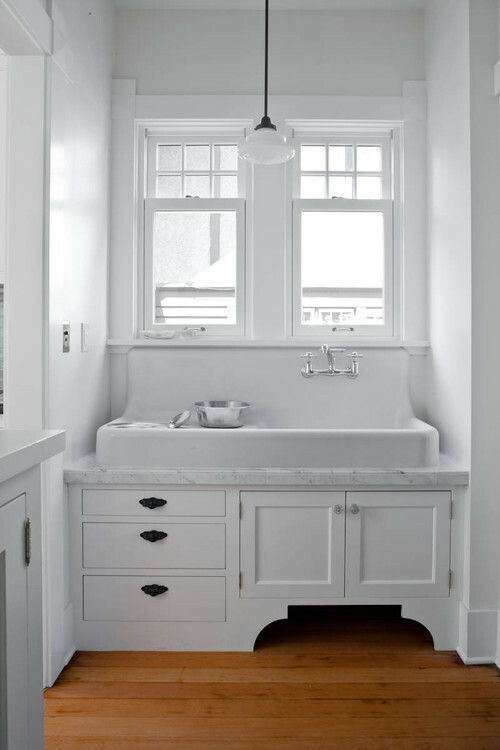 The addition of a utility sink ought to be a priority, even if it wasn’t originally within the plans.